When scientists first set out to study human origins, the Victorian armchair theorists figured it was our big brains that set us apart from the animal kingdom. They expected the fossils of our earliest ancestors to have voluminous noggins but not be built for walking. This walking business would emerge after we realized how useful it would be to have our hands free for making tools and sipping tea. 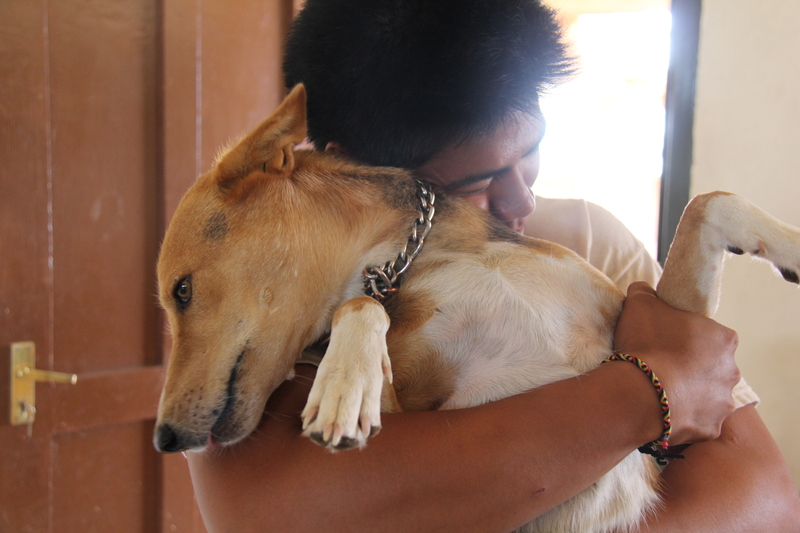 Rob demonstrates the usefulness of bipedalism by using his freed arms to hug a struggling quadruped. Research in the Pliocene has found the complete opposite. Out of murky beginnings somewhere and somewhen in the Miocene, a bipedal ape strode onto the stage around 5.3 million years ago. This bipedal pioneer may have been able to use a NordicTrack, but she wouldn’t have been able to use the instruction manual with her small, chimp-sized brain. A class portrait of our Miocene, Pliocene and Pleistocene ancestors. Pliocene fossils demonstrated it’s not our brains that define us, but our feet. There aren’t many bipeds in nature. Kangaroos come close, pangolins like to shuffle, and birds do pretty well keeping their wings tucked in, but nothing in the animal kingdom but us goofy humans puts its feet below its head in the same way we do, and it was in the Pliocene we assembled the perambulating toolkit. After getting up on two feet, the lineage diversified, with different species in South Africa and East Africa. 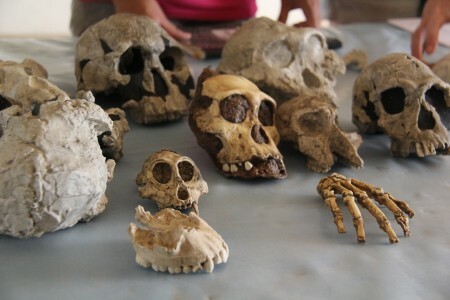 These early Pliocene hominins, some of our direct ancestors, belonged to the genus Australopithecus. 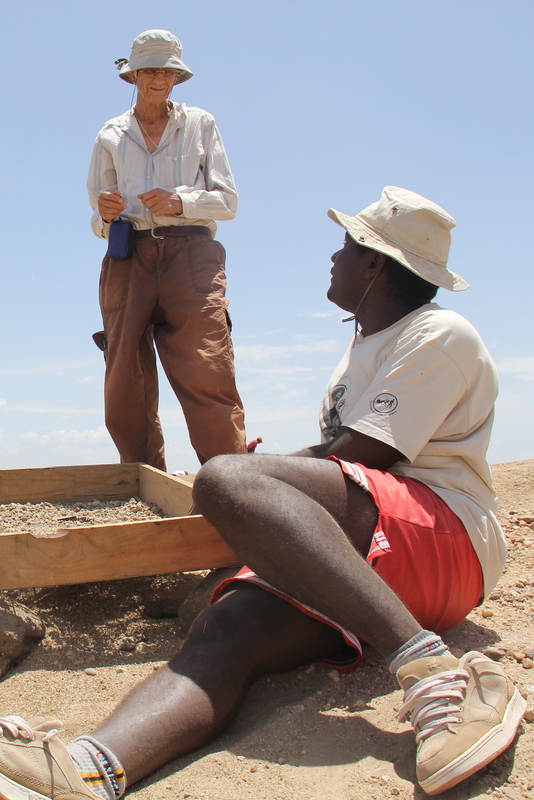 One of the first, Australopithecus anamensis was described by Dr. Meave Leakey based on material found in the Turkana Basin. 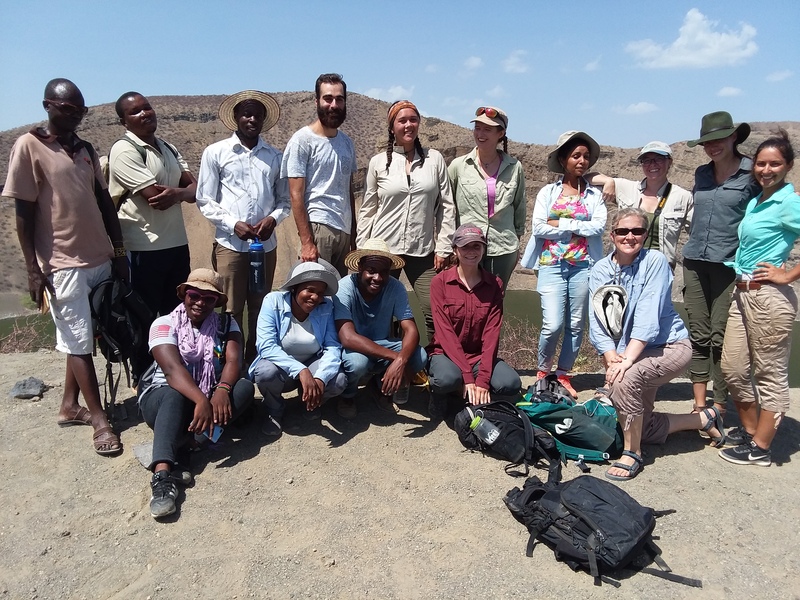 As part of the paleoanthropology module, Dr. Matt Skinner and Dr. Meave Leakey lead the field school to a Pliocene locality very close to the Turkana Basin Institute’s Turkwel campus in search of our small, chimp-brained-but-walking ancestors. 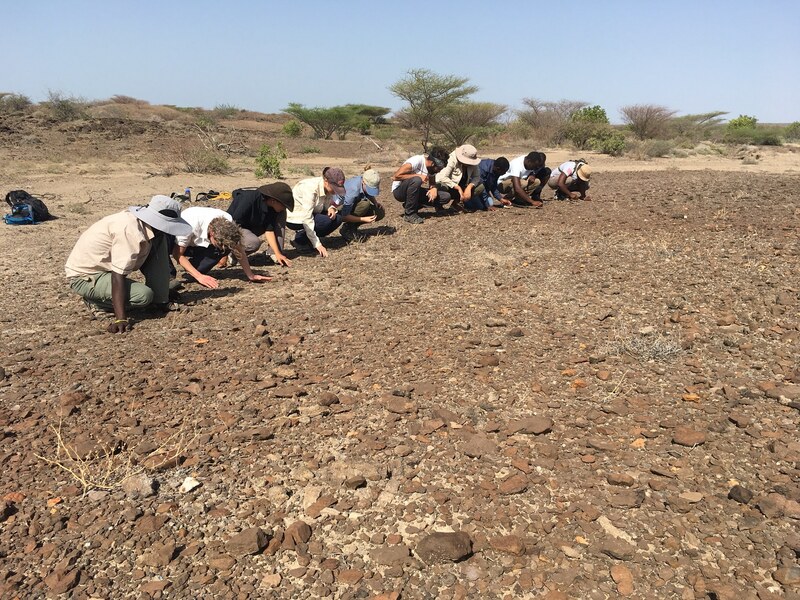 Fragments of hominin teeth have been recovered from the South Turkwel site and the field school was tasked with finding more. 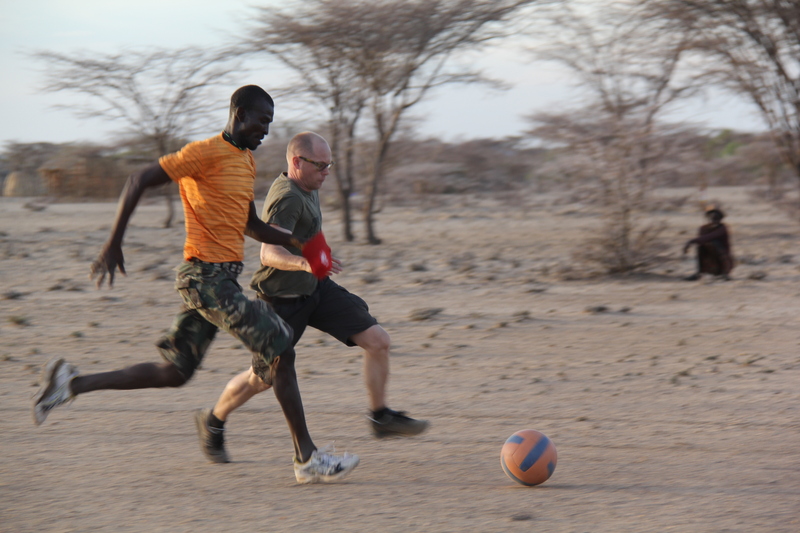 This began with surveying the site, searching for more material in the area, then dividing into two teams. 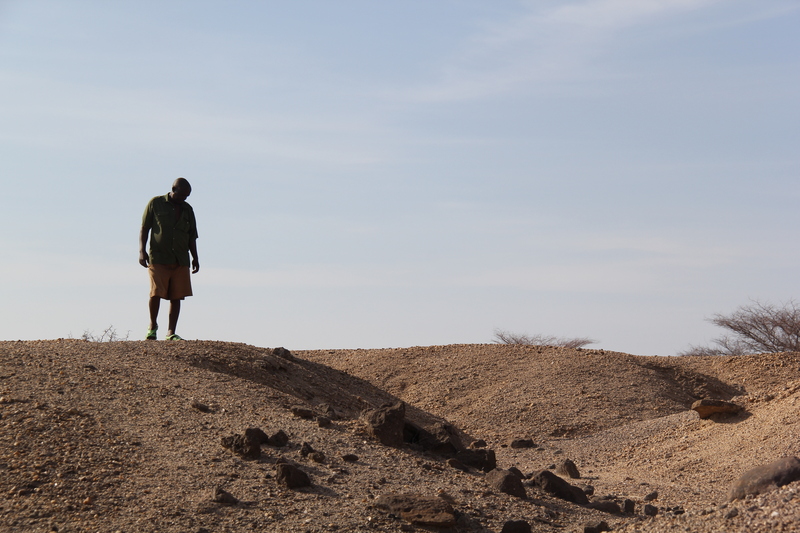 Radames, our truck driver, helps in the survey of South Turkwel. One team formed a line and crawled on hands and knees across the site where some isolated hominin material was found. 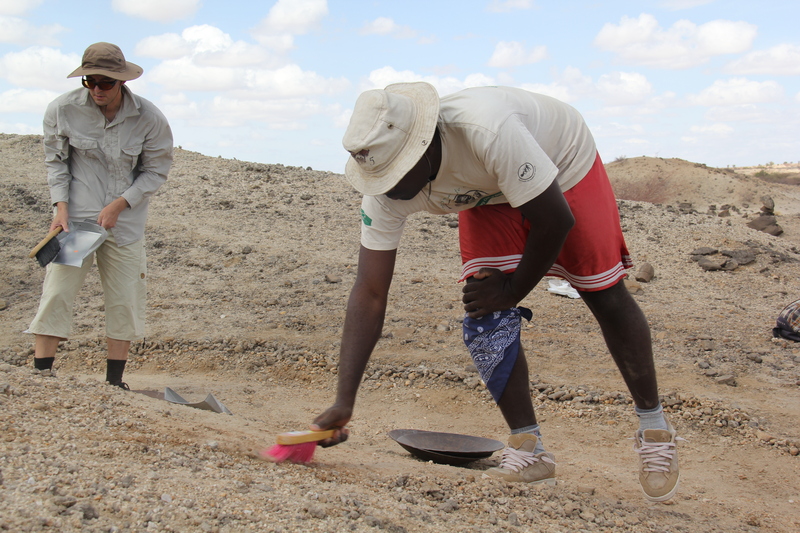 Tasked with collecting everything, the hill crawl would find an Australopithecus tooth if there was one to find. 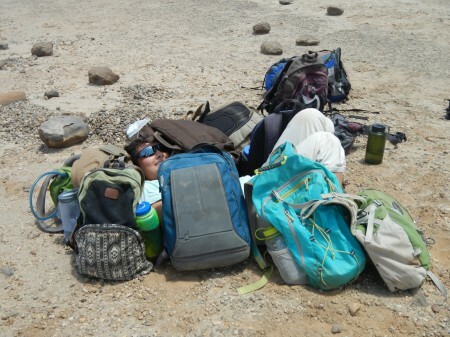 Dr. Meave Leakey sets up a happy hill crawl that starts at a grinning Rosie who is ready to fill her sample bags. 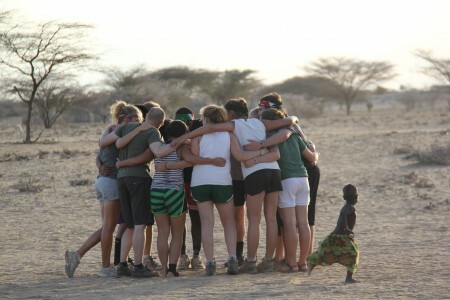 From Rosie on the right the line goes on to include crawlers Sam, Meg, Bailie, Ashley, Holly, Francis, and Marcel. Aaron and Dr. Skinner hill crawling, turning every rock and pebble in the hopes of finding a gleaming sliver of enamel or an intriguing epiphysis. 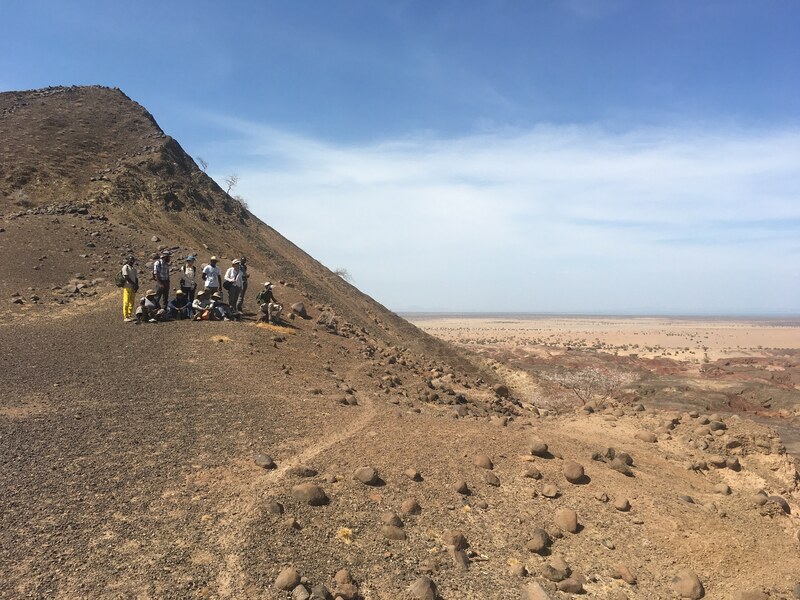 While some of the students were on hands and knees crawling across the desert, a second team began the dusty job of sieving through material on the side of a small slope where a second group of hominin fossils were recovered. 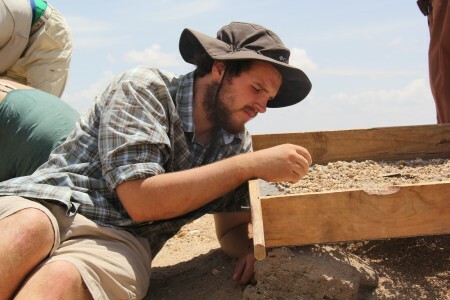 Some excavators would sweep surface material into a dust pan while others took collected material and screened it, then picked through the small pebbles and sand grains that didn’t fit through the mesh in search of fossil material. 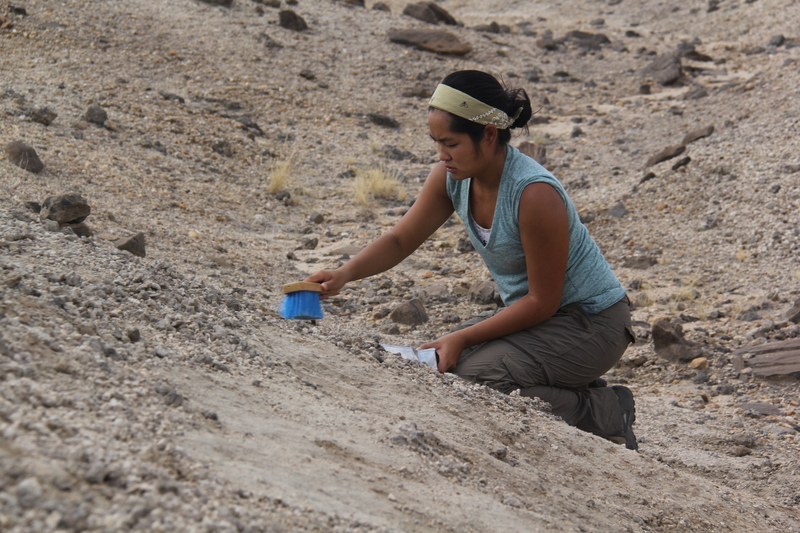 Ashley and Bailie making dust clouds in the hopes of finding tiny fossils. John picking the screen, examining each pebble for signs of life. Holly sweeps off the surface of the slope to get another round through the screen before we need to head back to campus. The sweepers meticulously tidied up the desert and the sievers coated themselves in layers of dust in search of tiny fossils. Then the teams switched roles, and finally the crawlers were relived of their slow survey and got to try their eyes at combing – and sweeping – the desert. 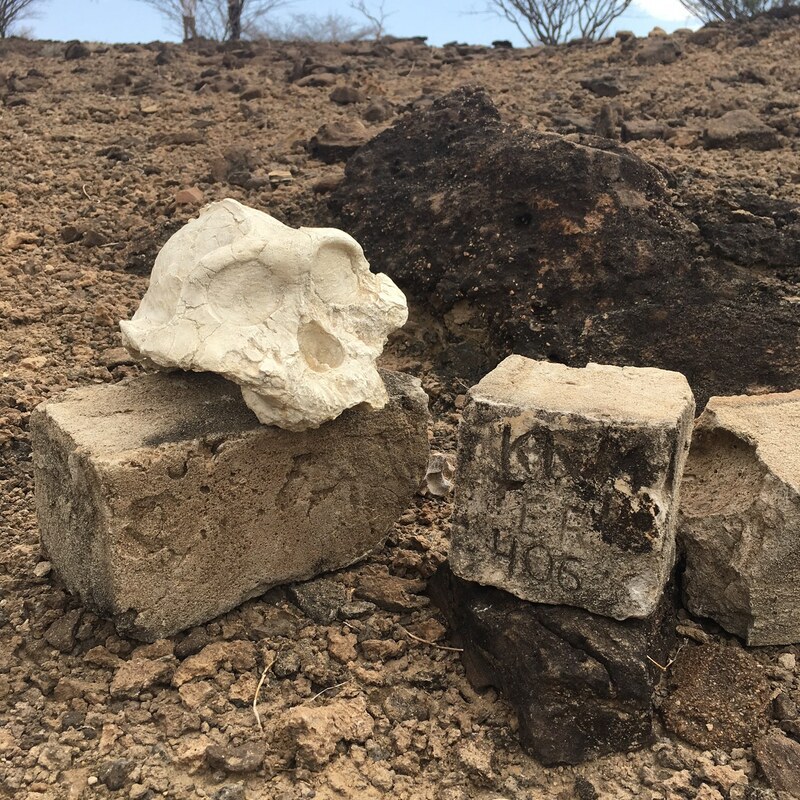 Plenty of turtle fragments, a bovid mandible, isolated fish teeth, and ostrich egg shell made it into the collection bags, but we had to pile back into the truck without a new Australopithecus skeleton along for the ride. Dr. Meave Leakey and Francis discuss microfossils from the screen. 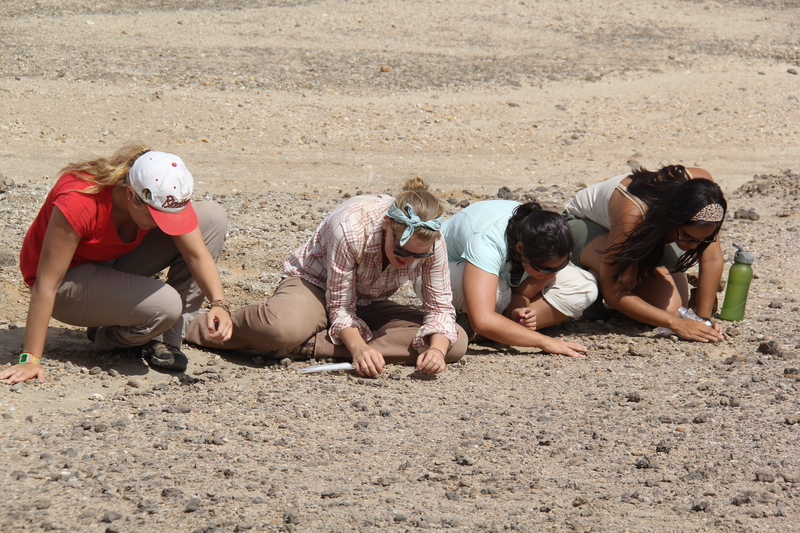 Ingrid, Natalie, Meagan, and Eve examine the sand grains of Turkana and hope for something besides turtle shell. Maegan escapes the sun at the end of the crawl. 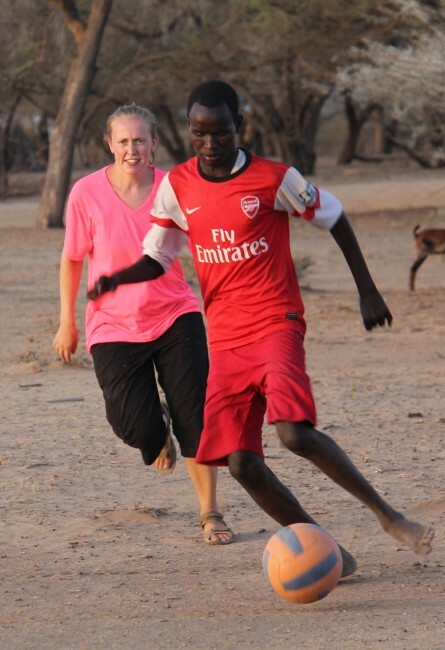 Rosie packing the equipment out of South Turkwel. The rest of us got to feel a little useless on the walk back to the truck. Back at camp, Dr. Skinner continued the story of our bipedal rise. 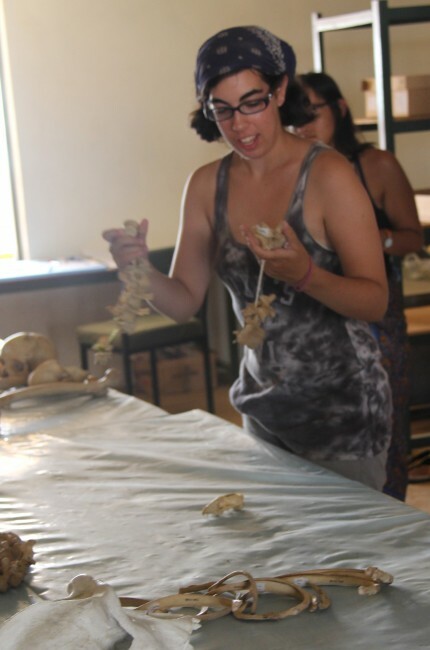 We started to look at individual sections of the skeleton – the skull, the arms, the legs, the hips – to understand the dramatic anatomical changes that help paleoanthropologists distinguish a quadrupedal, knuckle-walking ape from a modern walker. The students then presented each part of the body so that by the end of the presentations, we could identify aspects of every bone that were molded by our odd evolutionary insistence to get up on two feet. 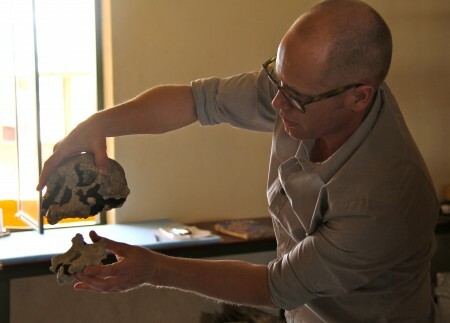 Dr. Matt Skinner demonstrates the anatomy of Homo rudolfensis, an early, flat-faced ancestor of ours. Eve illustrates the position of the foramen magnum, the hole in the skull where the spinal cord passes to the brain. 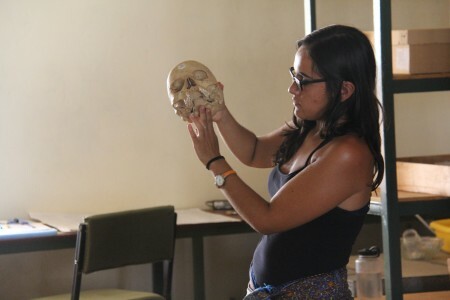 It sits on the very bottom of our skulls, a good clue that we prefer to have our vertebral column just below our heads. 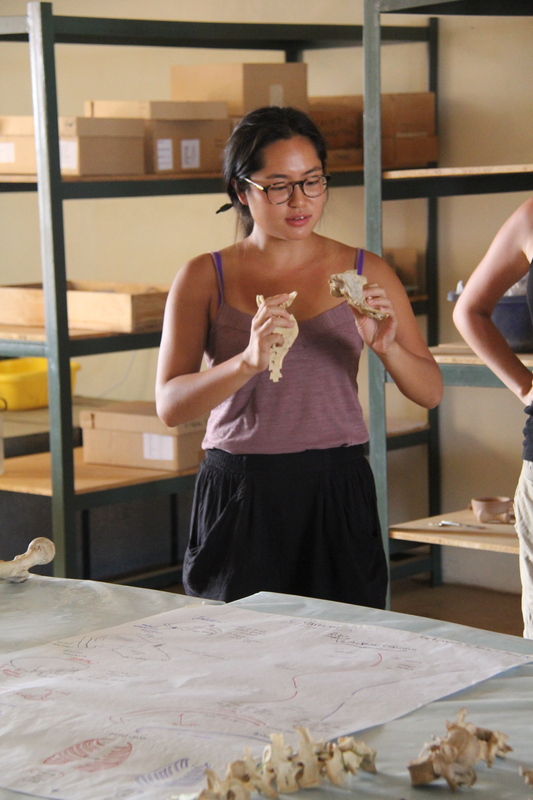 Holly contemplates the sacrum, one of the keystones at the base of the backbone that supports our upright posture. 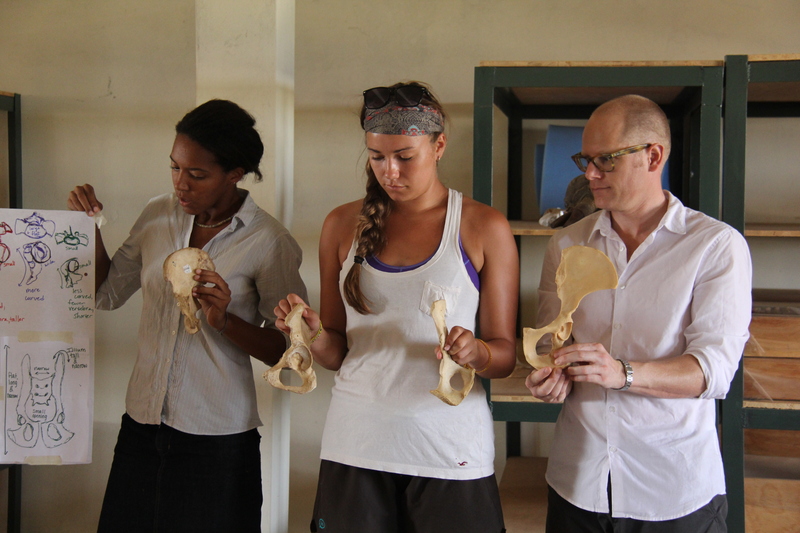 Ana, Cory, and Dr. Skinner get hip demonstrating the orientation of the iliac blades in bipdeal (human), knuckle-walking (chimp), and quadrupedal (baboon) primates. Ashley gets a backbone demonstrating how each bone of the vertebral column retains clues indicating our bipedal habits. 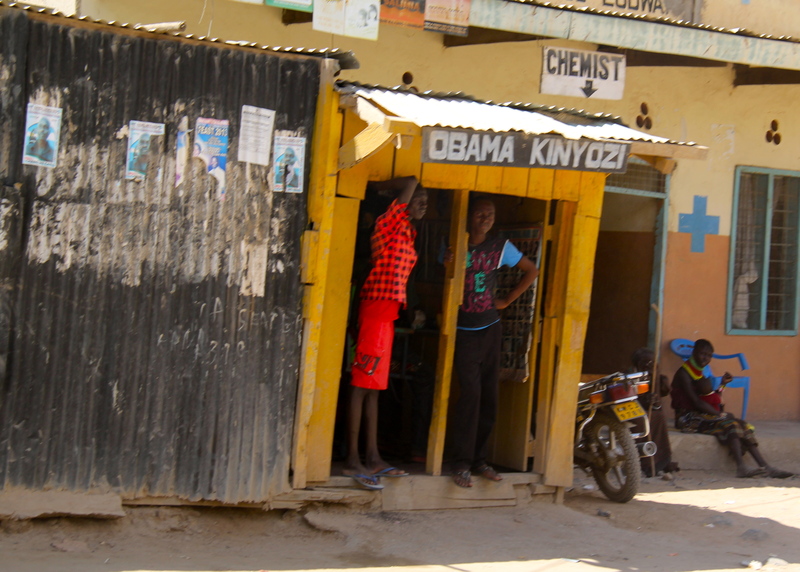 As the week came to a close, we took our final Sunday to make our final trips to Lodwar, the frontier town that provides the field school students with occasional chocolate fixes and salty snacks, and Eliye Springs, the tiny “resort” where you can splash around in Lake Turkana (keeping an eye out for crocs). 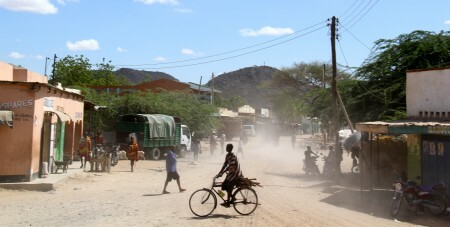 In Lodwar, we bought the town out of kikois, the printed fabric wraps used by Kenyans to carry children, make dresses, wrap kilts, and maybe stich into a waistcoat. 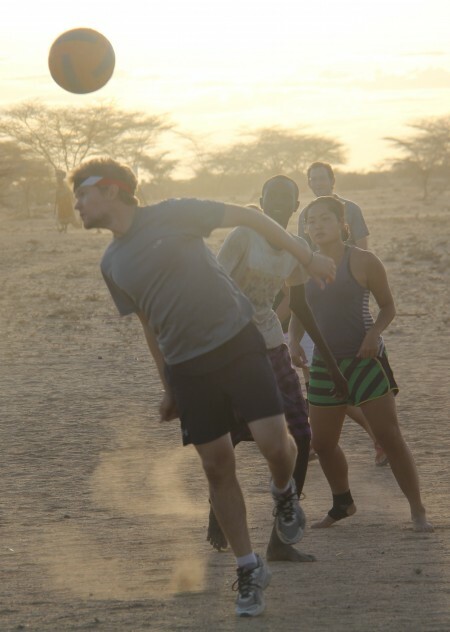 At Eliye Springs we kicked around the soccer ball with kids on the beach, threw around an American Football, fended off sunburn, and tried to avoid being mobbed by the Turkana women selling necklaces, wrist knives, and stools close to the truck. Saying goodbye to bustling, dusty town of Lodwar. Kenya is intensely proud to have produced the father of the American president and many Kenyans go out of their way to celebrate Obama pride. 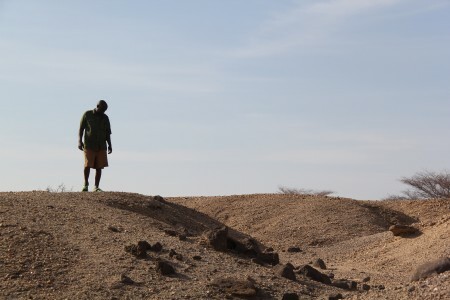 Parting shot of Central Island peeking out of Lake Turkana as viewed from the western shore. 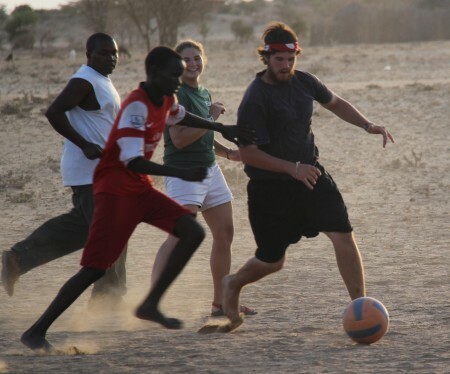 When we got back to camp Team TBI suited up for a final soccer/football match. 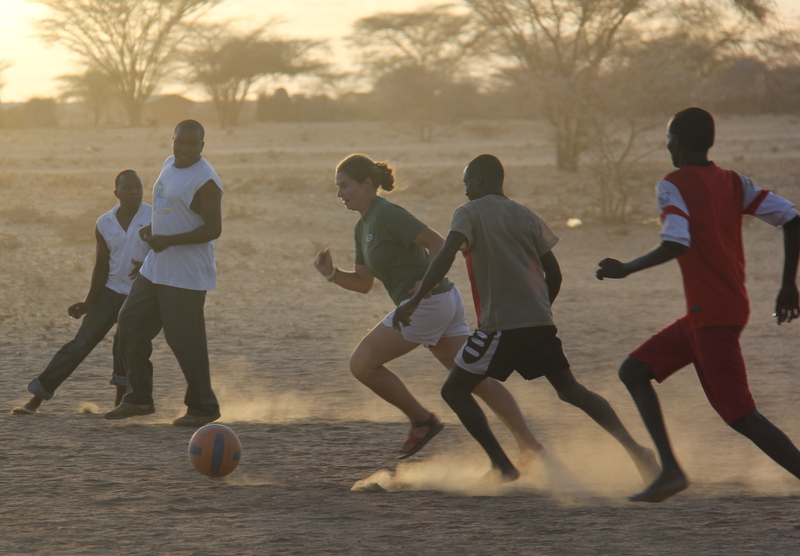 Students (and Nayte and Dr. Skinner) versus the staff. As always it was a hard fought battle played until almost complete darkness had arrived and every drop of water in my body had sweated away. The dramatic plays were once again beautifully photographed by Eve on the sidelines surrounded by her entourage of giggling village children. 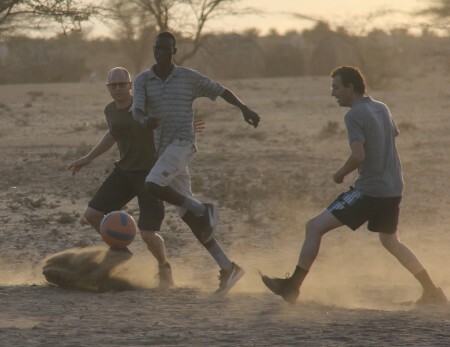 As we walked back from the open spot in the desert where we set up our soccer pitch, everyone’s conversation turned to the dawning realization that this was it. In one week we would be at the airport, luggage packed with kikois, necklaces, and persistent sand grains. 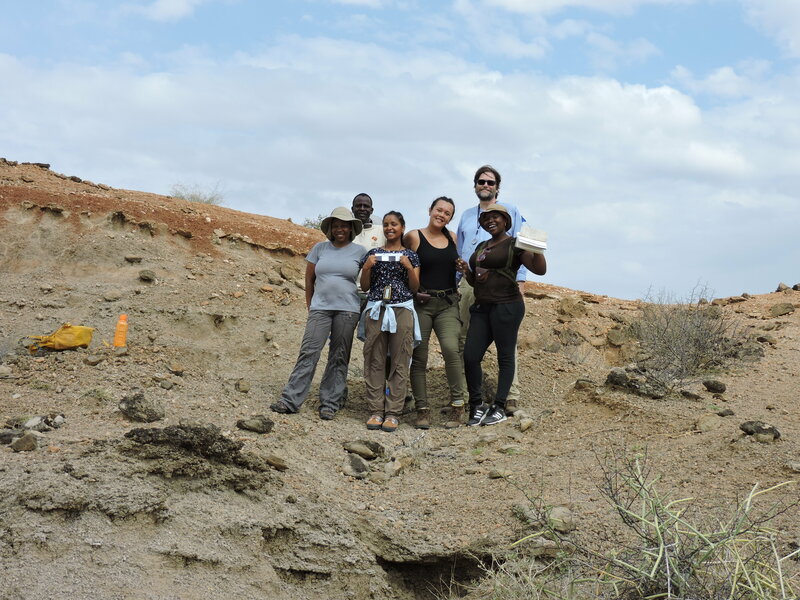 I am a graduate student in Anatomical Sciences at Stony Brook University and a Turkana Basin Fellow. 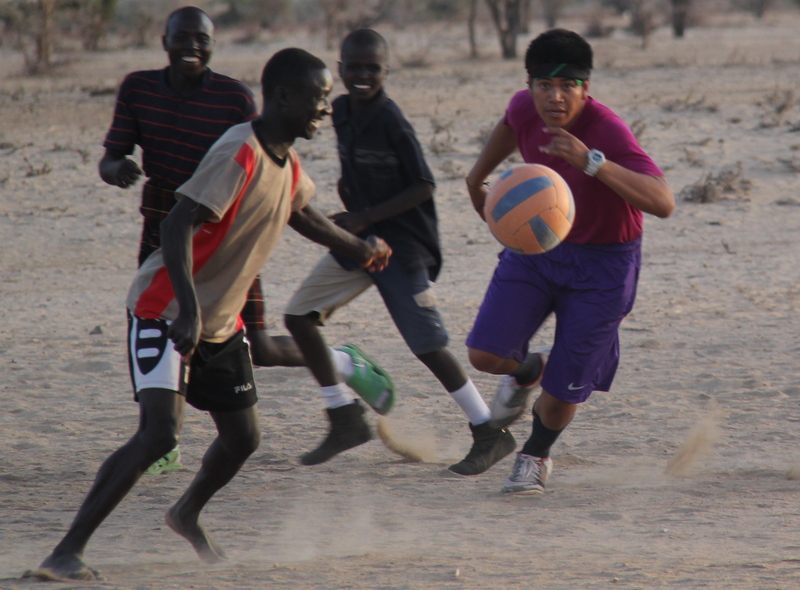 I study the evolution of a group of extinct carnivorous mammals called creodonts, a group of mammals that once filled all the carnivorous niches of Africa before the continent was invaded by modern carnivores like dogs, cats, and hyenas. I was one of the teaching assistants for the Spring 2013 Field School. I'm originally from outside Cincinnati, Ohio and I did my undergraduate work at The Ohio State University where I studied Geology and Anthropology. 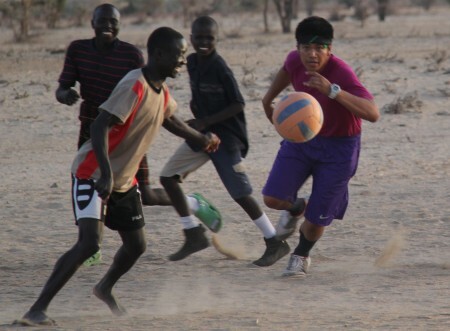 I've done fieldwork in North Dakota, Utah, Madagascar, Egypt, Germany, Kenya and Oman.